Let's have a tea party! 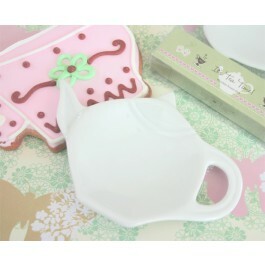 This charming porcelain teapot shaped tea bag holder is an excellent favor for your guests. Use it as a candy dish, tea caddy, soap dish, butter dish or spoon rest. Each Teapot shaped dish comes packaged in a clear box with white satin bow and the words "It's Tea Time" printed on a tea themed setting. 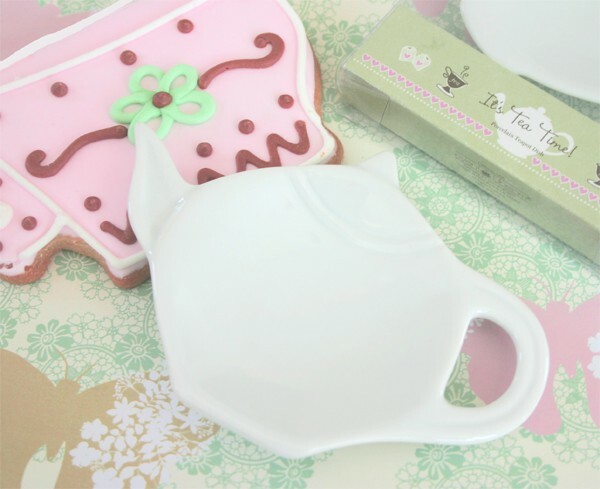 Packaging measures 3.75" x 4.75"
The boxes made these teapot caddies a very charming party favor. We tied them with ribbon and inserted monogramed teabags that showed through the clear plastic. Everyone loved them!